Our office was designed to help our patients feel comfortable. With modern equipment and a dedicated and caring staff, you will feel calm and cared for. With more than a decade of experience in dentistry, Dr. Belt and his staff have the knowledge and expertise needed to take care of you. Customer care is important to the staff at Durango Dental. We will always give you the individual attention you need. Our office is equipped with modern technology to ensure that our patients receive the most advanced dental treatments available in a clean and calm environment. Durango Dental is so wonderful. My 3 sons were very young when they started seeing Dr. Belt 4 years ago. He is their favorite dentist! He is always so good with kids. They love him. The front desk staff is amazing and so helpful with figuring out insurance and getting appointments. And not to mention the hygienists! They rock. I am so nervous that I will have painful gums after a cleaning, but Durango Dental is amazing and always great! Thank you for being wonderful and serving the community of Durango. Fit me in for emergency root canal and crown the same day I called. Dr Belt followed up after hours to check on me. Staff was amazing - everyone is professional, courteous and helpful! Great place for awesome dental care! I love Durango Dental! I always feel welcomed and treated like a friend. Kim is amazing with my cleanings! I love that she takes the time getting to know me. She’s incredibly friendly and very thorough with her cleanings. Chelsea has always been wonderful and so very helpful with all of the financial aspects of my dental work! And Dr. Belt is great! I used to have a lot of anxiety with being in the dental chair. Dr. Belt adds humor to his care and it makes a huge difference. Plus, he and his staff just do great work and always check in with me about pain. I would recommend Durango Dental, hands down!! Dr. Brad Belt is a family oriented dentist who enjoys living and working in Southwest Colorado. 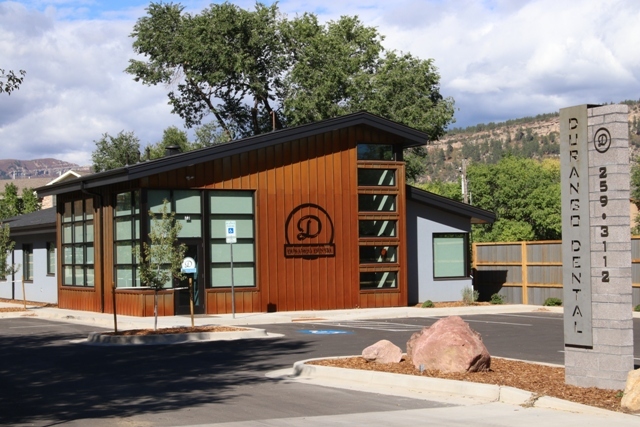 If you have been looking for a dentist who provides comfortable, quality care with a gentle touch, look no further than your local Durango dentist, Dr. Brad Belt. Reach out to our office today to schedule an appointment with Dr. Belt.